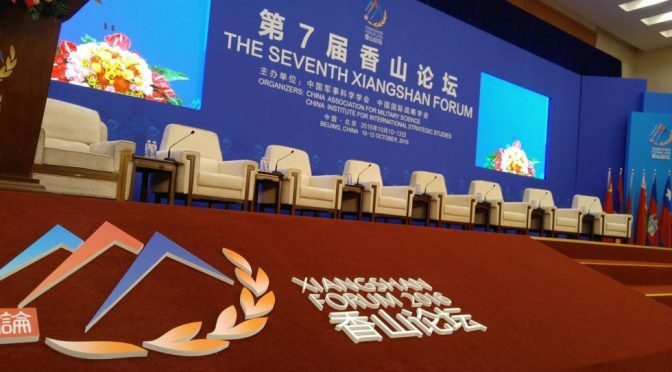 Will the Revamped Xiangshan Forum Displace the Shangri-La Dialogue? Earlier this year, the author published an analysis comparing and contrasting the 2017 and 2018 Shangri-La Dialogues (SLD) in terms of Chinese themes, narratives, responses, and outcomes; and more importantly, surmising what message Beijing was trying to convey and assessing what the message portends for the United States, the Indo-Pacific, and the world. The author posited that Beijing views the SLD as a confrontational international forum used by Washington and its allies to unfairly criticize (and contain) China. But despite the critiques, Beijing may also see some value, but not the overwhelming need, to participate in these multilateral dialogues and perhaps begrudgingly accept criticism in these forums as a natural outgrowth and accepted cost of its rise as a global power. That said, Beijing may one day conclude with respect to opportunity cost that the juice may not be worth the squeeze. Why bother with the seemingly biased and fading SLD when it can focus instead on building up its own Xiangshan Forum (XF)? The regional forum is widely regarded in Beijing as an increasingly viable and desirable counter to the SLD. The forum can function as the security component to the ambitious and expansive Belt and Road Initiative (BRI), and more significantly, an integral part of a strategic agenda (the Chinese Dream) to displace the extant Western-oriented world order with one lacking dominant U.S. influence. If so, one can expect soon a resurgent, revitalized, and revamped XF after an unexpected and self-imposed one-year hiatus. The decision to temporarily suspend the XF is not clear. If indeed Beijing did decide to use the XF in the aforementioned manner, then the pause may be a deliberate structural reset to re-orient itself to a new role. None had to wait long. On 30 August, the Chinese Defense Ministry announced that the China Association for Military Science and the China Institute for International Strategic Studies will co-host the 8th Beijing Xiangshan Forum (BXF) in Beijing from 24-28 October, 2018. Therefore, it is useful to examine the “restated” goals and objectives and discuss what it may mean for America, the region, and the international community. All in all, the language and tone of this new forum is more assertive and forward-leaning than previous forums – reflective of a more confident and insistent China, who seems determined to move forward from Mao’s revolutionary legacy and Deng’s iconic dictum of “hide our capacities and bide our time, be good at maintaining a low profile, and never ever claim leadership” and now to promote abroad “socialism with Chinese characteristics in a new era (Xi’s Thoughts).” The plenary and special session topics underscore Beijing’s aspiration to be a respected global leader who has a say (and sway) in world events and issues, and perhaps lay the groundwork to eventually displace the extant Western-oriented world order with one without dominant U.S. influence in accordance with its strategic plan for national rejuvenation. If so, the forum is a convenient and opportune platform to offer developing countries an alternative economic and political choice of Chinese “benevolent” governance involving mutual friendship but not encumbering alliances (economic development with supposed political independence). In other words, developing countries in Africa, Central Asia, South Pacific, and South/Central Americas should take heed and carefully consider the Chinese model – a rising power and growing economic juggernaut that feels it does not have to make political accommodations to others. Of note is the last panel topic on artificial intelligence. There has been plenty of reporting on robust Chinese investment in this emerging technology, particularly in the area of military applications. Some have even speculated that China has already surpassed the United States, and strongly urge Washington to make up for lost ground. If so, could this be Beijing trying to allay these growing concerns? China may be attempting to get ahead of the strategic issue by shaping and influencing international legal frameworks and accepted norms of behavior on the future development, deployment, and employment of artificial intelligence capabilities. The BRI – Beijing’s trillion-dollar, transcontinental infrastructure enterprise to elevate Chinese global economic and political standing – needs an accompanying and complementary security framework with Chinese characteristics to guarantee the BRI’s continued expansion and future sustainment. The BXF is that security framework. The forum and the BRI (with its hidden nationalist agenda and subdued geo-strategic implications) promote and advance a new global political, economic, and security order under Beijing’s terms. Together, they constitute a new Chinese strategic approach that calls for the balanced integration of interests. These include long-term overseas economic development and concurrent domestic security reforms intended to safeguard and enhance the internal apparatuses of China’s socialist and authoritarian system until it can be the center of that new Beijing-oriented global order. Hence, in the coming years, expect China to subtly undermine the SLD while incrementally building up the revamped BXF as evident by the new competing theme to that of the extant SLD’s theme of “building confidence and fostering practical security cooperation by facilitating easy communication and fruitful contact among the region’s most important defense and security policymakers.” The scope, nature, and extent of China’s present participation in the SLD can best be summed up as taking the middle road (hedging). Beijing wants to respond to any policy criticism and challenge any narrative counter to their own at the forum, but does not want to openly endorse or promote the SLD. Beijing seems content for now to send a relatively lower rank delegation head to the SLD, limit its role in the special session, and reserve the right to speak at the higher visibility plenary session when warranted (only individuals of full ministerial rank can speak in plenary). This hedging posture may transform over time to more of a balancing one that will directly challenge the SLD for regional preeminence. If so, Beijing will slowly draw down its participation in the SLD, while subtlety pulling away the other participants through a calibrated program of incentive (carrot) and intimidation (stick). First to go will be the regional countries already in China’s growing sphere of influence (Laos, Cambodia), and then other countries within region and the world, possibly similar to how Beijing picks off countries that formally recognize Taipei. Those that are contemplating withdrawal from the SLD may face increasingly forceful political and economic persuasion (coercion) to do so as part of a pressure campaign, while those that will continue to participate in the SLD will receive growing political and economic backlash as part of a retribution campaign. Countries saddled with BRI-related debts will face the most risk, and in time they may be given a stark binary choice – bend toward Beijing’s will or face economic consequences. Beijing may also establish its own version of the Rim of the Pacific (RIMPAC) exercise to further advance the security component of the BRI. 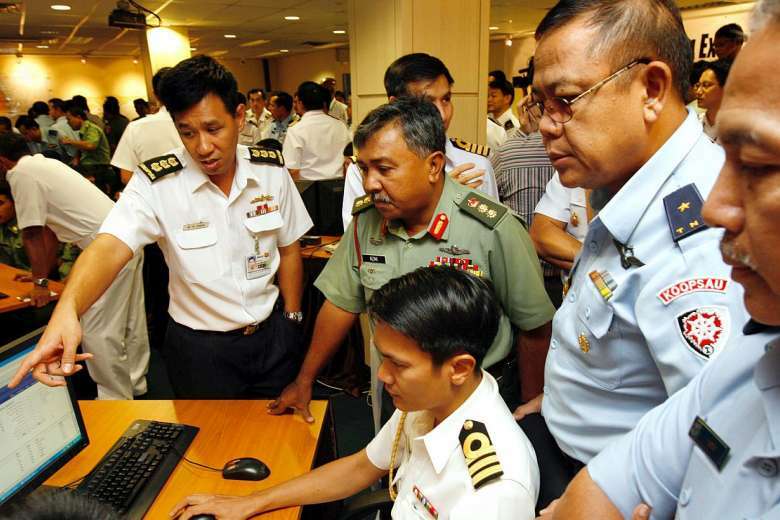 China and the 10 Association of Southeast Asian Nations (ASEAN) members states held the first-ever ASEAN-China Maritime Exercise (table-top) in Singapore on 2 August, with plans to hold a follow-on field exercise in China involving navies from all the participating countries later in October. If successful, Beijing may make this a recurring exercise and gradually expand its scope, nature, and extent of the exercise to eventually rival that of RIMPAC. At the end of the day, the strategic conundrum for the United States will be whether or not to participate in the BXF if invited by China. There are two schools of thought on this matter. Those in favor may argue non-participation would be a miscalculation. By not participating in the BXF, Washington would cede the strategic narrative and initiative to Beijing. Specifically, the United States would yield to China and like-minded nations a public platform to stake out their strategic positions unchallenged; and lose an opportunity to counter Chinese strategic messaging and further encourage China to become a more responsible global stakeholder that contributes positively to the international system. Those not in favor may suggest that in the early years of the BRI, Washington policymakers faced political and economic pressures to join the ambitious Chinese infrastructure project over the worrying prospect of being left behind. Contrary to conventional wisdom at that time, the U.S. government resisted the clarion call and chose not to join. In hindsight, the decision was the correct call given the political and economic difficulties that have emerged from the project. The same logic and rationale should be applied to the BXF. Resist the strong temptation to join in the false hope of changing or reforming the BXF from within, and instead challenge the forum by continuing to offer countries an alternative security framework (such as the SLD) to accompany the Free and Open Indo-Pacific (FOIP) economic strategy. In terms of great power relations Beijing views itself as a destined rising power and Washington as an inevitable declining power. And both are seen as being interlocked in a strategic competition for regional and global preeminence. In this competition the Chinese BRI and BXF and its opposing counterparts – the FOIP and SLD – are the preeminent and enduring platforms in these contested economic and security battlespaces, respectively. The victor of this great power competition will determine not only the future course of the Indo-Pacific, but perhaps also the world. Tuan Pham is widely published in national security affairs and international relations. The views expressed therein are his own. Featured Image: Seventh Xiangshan Forum (South China Morning Post photo). Is Collective Southeast Asian Security Only Achievable in Malacca? In the opening years of the century, fear of piracy permeated the Strait of Malacca. Every few days, it seemed, there was another boarding, another theft, another hijacking. Merchant sailors, already leery of the narrow sea lanes, were doubly anxious over the identity of the brigands’ next target – could they be next? And, most remarkably, this was not the Eighteenth Century, but the Twenty-First. An observer 600 miles northeast of Malacca would have seen a less harmonious scenario play out, though. In the South China Sea, a different sort of maritime threat challenges the sovereignty of various Southeast Asian states – territorial claims by China. Since as far back as the 1970s,2 various appendages of the People’s Republic of China have been using force, finesse, and everything in between to stake claims to islands (and potential islands) through a wide swath of the South China Sea, in direct opposition to four Southeast Asian claimants – Brunei, Malaysia, the Philippines and Vietnam. This behavior continues today. How were four neighbors able to cooperate concerning one problem but not the other? Is such a cooperative solution unique or is it transferable to other situations? Three categories of factors generally account for the difference in scenarios: the legal environment, level of effort, and level of risk. This paper will address elements within all three categories, with some that fall under more than one being discussed multiple times. It is a time-honored truth that, Jack Sparrow aside, no one likes pirates. They have no constituency, no patron. Stamping out brigandage in its waters is almost by definition a precondition for a state to be considered legitimate. Minimal tears will be spilled if a state apprehends pirates on the high seas. As a direct result of civilization’s antipathy toward piracy, it is a recognized precept of international law that pirates are stateless. Any state patrolling for pirates is well within its rights to deal with them, via arrest or other means, in accordance with its own law. Counterpiracy operations, in the Strait of Malacca or anywhere else, are on solid legal ground at the broadest level (allowing for some restrictions, perhaps, at the tactical level). The legal and moral backing described above ensure that international kudos or, at least, an absence of complaints can be expected by MSP participants. Surely it was widely appreciated when Lloyd’s of London ceased listing the Strait of Malacca as a “war risk area” in 2006 as a result of MSP’s actions.3 Recognition such as this is not, strictly speaking, a legal matter. However, in the realm of international law, where precedent and custom are just as important as written treaties, support from peers is critical in ensuring the legitimacy of an action. Contrast this with the South China Sea. The Southeast Asian nations whose shores it laps are uniformly exasperated, no doubt, with Chinese fishing, island-building, and other nationalist actions in waters well outside China’s own Exclusive Economic Zone. But what to do? Unlike pirates, China has a cheering section. There will be more on this in the Risk section, but suffice it to say, China’s market is big enough (or potentially big enough) that no nation, not even its rivals in the South China Sea, wants to risk losing access to it. As a result, someone can always be found to support the Chinese position, even if holding their nose while doing so. Because concurrence on the end state in the South China Sea is fleeting, international backing for any party to the dispute is lacking. Nations like Japan and the United States can agree that China shouldn’t do what it’s doing – but at the same time, they take no position on how the Sea’s territorial lines should actually look, which is a matter for the four Southeast Asian claimants to determine among themselves. It is hard to oppose one course of action (the Chinese one) without proposing a credible alternative, but that is the only option available to the international community. Legal issues aside, very different resources and activities are required for patrolling the Strait of Malacca as opposed to contesting the South China Sea, and those required for counterpiracy lend themselves to international cooperation. First, counterpiracy is virtually a completely maritime affair. The ships and aircraft of the MSP can patrol international waters, and, occasionally, fly over territorial waters with proper permission, but no one has to set foot on the land of another country. The lack of “boots on ground” makes such cooperation a much simpler affair; it is out of sight and out of mind for most people ashore. It is expensive to maintain and crew equipment that floats and flies, but it is politically palatable in a way that a troop garrison may not be. The second point is a corollary to the first – while maintaining naval and air forces may not be cheap, neither do they need to be top-of-the-line warfighters, either. The biggest capability such a counterpiracy force offers is simple presence. By being visible in the commons, they can deter piracy without firing a shot or boarding a single vessel. Such a force is achievable even for a middle-income nation like Indonesia. The country may have more-capable forces available (as Singapore certainly does), but they can be sent elsewhere while the low-end constabulary forces monitor the sea lanes. Outside support is also minimized in conducting the MSP. Members can conduct the mission themselves, as long as their governments provide the proper equipment through international arms sales (such as for P-3 patrol aircraft). The MSP has no involvement from ASEAN, nor is there an ASEAN role in counterpiracy operations anyplace else.5 Strait security does impact all ASEAN members, if for no other reason than to keep maritime insurance premiums down, but it was urgent enough to MSP members in 2004 that they acted on their own accord without waiting for ASEAN to offer collective support through a process that would have undoubtedly taken years. The mission is focused enough that MSP members correctly judged that participation by ASEAN or extra-regional partners was unnecessary. Lastly, with a non-controversial mission being conducted offshore, direct military-to-military coordination is suitable for the MSP. A headquarters and operations center was built in Singapore6 but, other than that, no new structure or apparatus needed to be created. Simple cooperation among preexisting military organizations was sufficient. Best of all, it is non-provocative – there is no rival state getting perturbed at the sight of its neighbors performing joint military operations. Pirates may have been surprised to see it when the MSP began, but aren’t really in a position to complain. The South China Sea, however, presents a great many obstacles to cooperation in contrast to the items described above that facilitate the MSP. For example, while it is mostly a maritime affair, it isn’t entirely – there are actual land masses in play, many of which are large enough to be inhabited. Even rocks and shoals matter, as the long-suffering Philippine LST executing a claim to Second Thomas Shoal in the Spratly Islands can attest.7 So while the typical citizen of an ASEAN state will consider this to be offshore just as the MSP is, the fact is there is still ground to be defended, and China cannot be successfully deterred solely with naval operations. This is a dicey matter since many islands have multiple ASEAN claimants – so who has the responsibility to defend them? Drawing up plans to defend these points from outside aggression will provide frequent flashpoints for internal conflict. It can only be done jointly, or not at all. Back at sea, naval operations need to be of a higher level than picking up unsophisticated pirates. China must be made to think that, if it comes to war, the costs will outweigh the anticipated gains. Such a credible deterrent requires wholly different equipment and doctrine than that used in the Strait of Malacca. This is expensive and time-consuming. Capabilities vary by country, and in no case do assets come in great numbers. Thus, in contrast with the MSP, outside military assistance is a vital component of Southeast Asian efforts to resist Chinese aggression. Any credible strategy must rely on forces from the United States, at minimum, and probably also Japan, Australia, and perhaps others from outside the immediate region, like India. The factors described all figure in to calculations of risk. The bottom line is that counterpiracy is considered to be low-risk; confrontation with China is a dicier proposition. Largely this is because pirates are simply out to make a living, however illicitly; China, on the other hand, appears to be spoiling for a fight. The People’s Republic of China acts provocatively because it wishes to be provoked. Even if it chooses not to use an incident as a casus belli, it can still use perceived affronts as sanctimonious diplomatic cudgels against their neighbors and rivals. Over time, other countries may subtly shift their behavior to avoid such Chinese outbursts, even if war never actually comes. This means that even quite legitimate expressions of national sovereignty, like the Philippines patrolling its own internationally-recognized waters, might be done infrequently or not at all in order to avoid antagonizing the PRC. A 2015 statement by the U.S. Seventh Fleet commander about the potential about ASEAN counterpiracy patrols in the South China Sea – where, recently, piracy has also been picking up – earned the observation by The Diplomat that “these ASEAN states deal with the South China Sea issue quite differently, and the idea itself may seem too controversial for some for fear of angering Beijing.”8 There is no such restraint in patrolling the Strait of Malacca. Besides threatening war with the largest military in the region, the PRC can also make economic threats against countries that annoy it. Its market is huge; no country with hopes of growing its economy can afford to ignore it. Thus, a Chinese threat to shut out a certain country or trade bloc carries a certain weight, and gives the PRC substantial leverage in its international dealings. A rival state would have to be pushed thoroughly to the edge by Chinese behavior before it would allow a bellicose response to threaten its access to the Chinese market. This sets a high bar for even one country to oppose Chinese maritime activity in the South China Sea, let alone several of them. Proactive measures against Malacca piracy, though, carries no such risk – as noted earlier, the pirates have no constituency whom rivals must flatter. Individual situations may be difficult (such as those involving hostages) but the impetus to suppress piracy in the first place is unobjectionable as it carries very low risk of blowback. Lastly, there is a level of military risk involved, especially as we recall that China is actively looking for grievances. 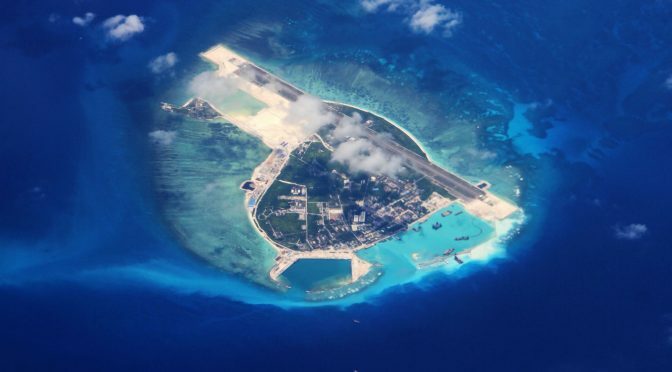 As noted earlier, habitable and buildable islands (and reefs that could become islands) are at issue in the South China Sea – this is not the case in counterpiracy operations. With actual ground on which boots can be disembarked, the stakes are higher than simple maritime cat-and-mouse at sea and in the air. Claiming and holding land by force brings a sort of primacy to a claim that just isn’t achievable by coast guard patrols of open water. Thus ground troops’ use by Southeast Asian states is even more of an incitement to China than maritime operations, and, although it is the only way they can truly enforce their claims, there will be great reluctance to employ such forces. But that leaves the land open for Chinese claims. And the ratchet again clicks ahead one notch. Additionally, the military-to-military cooperation so prevalent in the MSP would be called out as warmongering if practiced in the South China Sea. Mil-to-mil liaison and cooperation is the order of the day in Malacca; however, if practiced similarly in the South China Sea, a diplomatic row will surely ensue in which China accuses its southern neighbors of ganging up against it (there is a grain of truth to this, of course, even if it’s a defensive arrangement at heart). So, left to their own devices, Southeast Asian states will minimize even simple coordination among their units in the South China Sea in order to avoid rocking the boat and implicitly threatening their economic interests. Discussion of the Malacca Strait Patrol is not meant to sell it is a model example of effective cooperation – simply an example of existing and enduring cooperation. The very fact the MSP was organized and is still extant when so few such international efforts exist in the ASEAN region is, by itself, remarkable. However, questioning its mission effectiveness is perfectly valid. While it did have great success reducing piracy in its earliest years, illicit activity is again on the rise. Southeast Asia was the world’s number-one region for piracy as of 2015, accounting for 55 percent of all cases tracked by the International Maritime Bureau (IMB), with much of it occurring in the Strait of Malacca.11 A check of the IMB’s website12 at any given time will likely show a recent case in the Malacca area (as of this writing, case 071-17, an armed robbery, fits this description). It is reasonable to conclude that the great drop in piracy in the first few years of the Malacca Strait Patrol was due to the shock effect among pirates who had to contend with organized resistance for the first time. MSP was able to tackle the “low-hanging fruit” through simple deterrence, and made a big difference. Those who remained in the business were more resilient and innovative in achieving their illegal ends, allowing them to exploit holes in MSP coverage and eventually expand their activities. That, combined with MSP’s inevitable bureaucratic sclerosis and loss of urgency after more than a decade on the same mission contributed to a long-term loss of effectiveness for the counterpiracy effort. Nevertheless, MSP’s mere existence and the very real success it has had in the past compel its use as an example for other security initiatives – no better ones exist. This has been noted by such figures as the chief of Singapore’s Navy, who in 2015 suggested adapting the MSP model to patrol the recent pirate hotspot in the south end of the South China Sea.14 This specific initiative may be a non-starter for diplomatic reasons described above, but not because the organizational model wouldn’t work. MSP states act in the Strait of Malacca because they have undisputed legal authority, only need to expend a moderate amount of funds and manpower, and assess there is low risk of unintended effects. In contrast, China seems to hold all the cards in the South China Sea. Is there anything that neighboring states, or ASEAN as whole, can do to mitigate this? There may be a way to thread this needle. First, a coalition, optimally but not necessarily ASEAN-based, must be formed to act in the South China Sea. Second, the emerging pirate threat in the South China Sea must clearly and repeatedly be emphasized as the object of efforts in the area. Third, Southeast Asian coalition members must take a page from the Chinese playbook and simply be present there, conducting their counterpiracy mission, to be sure, but also pointedly making their existence a well-known fact. Chinese island-building and occupation must be dealt with diplomatically, as forcibly removing them is a bridge too far, but Southeast Asian presence in the waters concerned will increase Southeast Asian leverage in such discussions. It is natural to question whether ASEAN has a role in this initiative that affects all of Southeast Asia. Ideally, perhaps it would, and there has certainly been talk of finding ways to accomplish this.15 However, the fact that ASEAN has had no role in the Malacca patrol and has made little substantive contribution to other security matters indicates that this may be an unrealistic expectation. Because of possible diplomatic repercussions from China, it is nearly impossible to even get a joint ASEAN statement concerning the South China Sea, as witnessed in June 2016 with the released-then-retracted statement about Chinese claims.16 Thus, a solution with a better chance of coming to fruition would involve just the directly-involved states, likely Brunei, Indonesia, Malaysia, the Philippines and Vietnam (perhaps with Singapore, too). 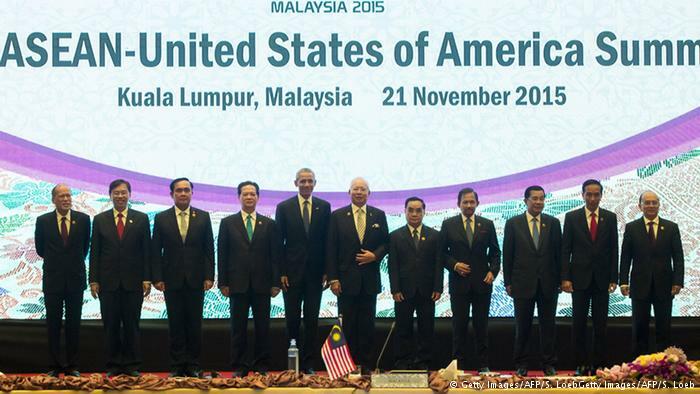 It is unlikely ASEAN would give its blessing, but nor would it get in the way. When this coalition does kick off its activities, it needs to show in word and action that counterpiracy really is its mission. This is as much a matter of strategic communication as it is maritime tactics, techniques, and procedures. Broadcasting far and wide the news of every apprehended pirate will serve to deter further piracy and also make the point to China that this is, indeed, how the patrols are spending their time. Over time, joint Southeast Asian/ASEAN patrols will become routine and part of the accepted pattern of life in the area. China will not passively accept this, though. If it does nothing, that would equate to tacit acknowledgment that the affected areas of the South China Sea are either international waters or subject to the claims of nations other than itself, so action is more likely. The Chinese Coast Guard could attempt to keep Southeast Asian patrols out of the area by maneuvers, both diplomatic and naval. But this would beg the question, why is China enabling pirates? It is then possible that China would establish its own counterpiracy operation in order to be seen as doing a service for the region. Piracy, at least, would be mitigated. It would still leave open the thorny issue of the illegitimacy of Chinese actions in ASEAN countries’ claimed seas. Southeast Asian coalition patrols would have to continue, sharing the waters with Chinese ones, in order to show, at the very least, the international nature of the South China Sea. And, in a roundabout way, we have arrived at the limit of what ASEAN or its member states can expect to accomplish in the South China Sea. They will never resolve their internal claims and counterclaims – but they will never forcibly disabuse China of its claims, either. However, it is just possible they may be able to create conditions in which all sides can agree to disagree. 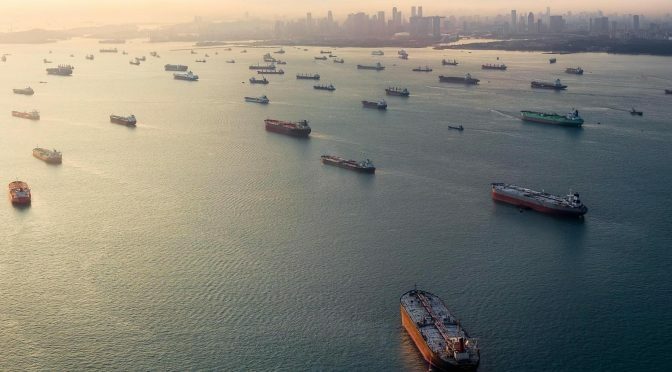 Just as in the Strait of Malacca, the solution is not perfect – as rising rates of piracy show, there are still gaps and the problem is not in any way “solved” – but it is achievable, and the hypothetical outcome is better than it would be otherwise. Let the perfect not be the enemy of the good, and the “good” in this case is a state of tolerable ambiguity. The mere existence of the Malacca Straits Patrol is remarkable for a region notably protective of sovereignty and averse to interstate cooperation in the wake of colonial rule, and this will be hard to replicate in the South China Sea or elsewhere. The MSP has succeeded because it has a narrowly-defined mission fitted within that paradigm of state sovereignty. It may not have stamped out all piracy, but it’s eliminated quite a bit. Any organization designed to supporting Southeast Asian claims in the South China Sea will need to have a similarly focused mission and expectations to match. No combination of ASEAN member states will be able to in any way “solve” the problem of Chinese maritime claims on their own. But they can act to create the facts necessary to facilitate other efforts, diplomatic and otherwise. The fact that it is the Malaysian or Philippine governments, and not the Chinese government, arresting pirates or helping stranded fishermen could go a long way. But expectations must be limited; any such organization can and should do no more than this. MSP succeeded by virtue of focusing on goals achievable within the political and resource constraints it faced. In a sense, adapting the MSP organizational model to another mission is easy. MSP’s far bigger lesson is the value of achievable objectives. Setting those objectives requires not money, nor ships, nor men, but rather the most precious resource of all: plentiful reservoirs of discipline. Matt McLaughlin is a Navy Reserve lieutenant commander, strategic communications consultant, and Naval War College student whose opinions do not represent the Department of Defense, Department of the Navy, or his employer. This post is based on a Naval War College paper submitted in summer of 2016 and is republished with his permission. 1. Catherine Zara Raymond, “Piracy and Armed Robbery in the Malacca Strait: A Problem Solved?”, Naval War College Review, Summer 2009, Vol. 62, No. 3. https://www.usnwc.edu/getattachment/7835607e-388c-4e70-baf1-b00e9fb443f1/Piracy-and-Armed-Robbery-in-the-Malacca-Strait–A-.aspx. 2. Donald E. Weatherbee, Southeast Asia: The Struggle for Autonomy (London: Rowman & Littlefield, 2015). 3. “Malacca Strait Patrols,” Oceans Beyond Piracy. http://oceansbeyondpiracy.org/matrix/malacca-strait-patrols. 4. Benjamin Kang Lim, “China, Philippines to start South China Sea talks: ambassador”, Reuters, 14 May 2017, accessed 8 Jun 2017, http://www.reuters.com/article/us-china-silkroad-southchinasea-idUSKBN18A07P. 5. Laura Southgate, “Piracy in the Malacca Strait: Can ASEAN Respond?”, The Diplomat, 8 July 2015, accessed 17 May 2016, http://thediplomat.com/2015/07/piracy-in-the-malacca-strait-can-asean-respond/. 6. “Malacca Straits Patrol: Member States Commemorate 10 Years of Cooperation,” Singapore Ministry of Defense, 21 April 2016, accessed 17 May 2016, http://www.mindef.gov.sg/imindef/press_room/official_releases/nr/2016/apr/21apr16_nr.html#.V3lCerh97IV. 7. 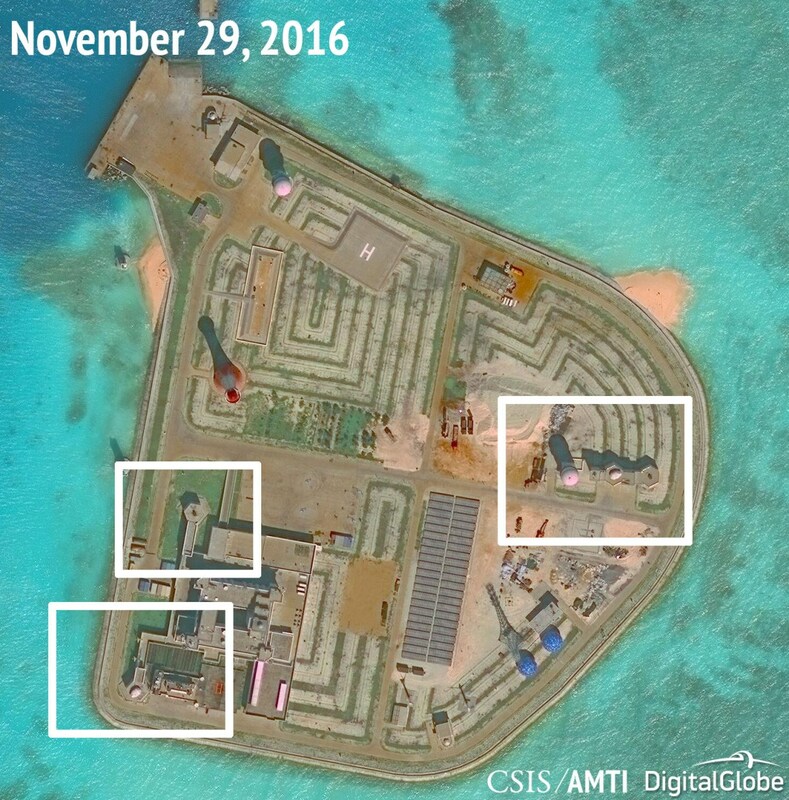 Manuel Mogato, “Exclusive: Philippines reinforces rusting ship on Spratly reef outpost – sources,” Reuters wire service, 13 July 2015, accessed 3 July 2016, http://www.reuters.com/article/us-southchinasea-philippines-shoal-exclu-idUSKCN0PN2HN20150714. 8. Prashanth Parameswaran, “ASEAN Patrols in the South China Sea?”, The Diplomat, 19 March 2015, accessed 17 May 2016, http://thediplomat.com/2015/03/asean-patrols-in-the-south-china-sea/. 9. Malcolm Davis, “China’s ‘Malacca Dilemma’ and the Future of the PLA,” China Policy Institute Blog, The University of Nottingham, 21 November 2014, accessed 25 June 2016, https://blogs.nottingham.ac.uk/chinapolicyinstitute/2014/11/21/chinas-malacca-dilemma-and-the-future-of-the-pla/. 10. Shannon Tiezzi, “China Promotes Trade, Maritime Silk Road in Malaysia”, The Diplomat, 24 November 2015, accessed 18 June 2016, http://thediplomat.com/2015/11/china-promotes-trade-maritime-silk-road-in-malaysia/. 11. Prashanth Parameswaran, “Over Half of World Piracy Attacks Now in ASEAN,” The Diplomat, 25 April 2016, accessed 17 May 2016, http://thediplomat.com/2015/04/over-half-of-world-piracy-attacks-now-in-asean/. 12. Live Piracy & Armed Robbery Report 2017, International Maritime Bureau, accessed 8 June 2016, https://www.icc-ccs.org/piracy-reporting-centre/live-piracy-report. 13. Laura Southgate, “Piracy in the Malacca Strait: Can ASEAN Respond?”, The Diplomat, 8 July 2015, accessed 17 May 2016, http://thediplomat.com/2015/07/piracy-in-the-malacca-strait-can-asean-respond/. 14. 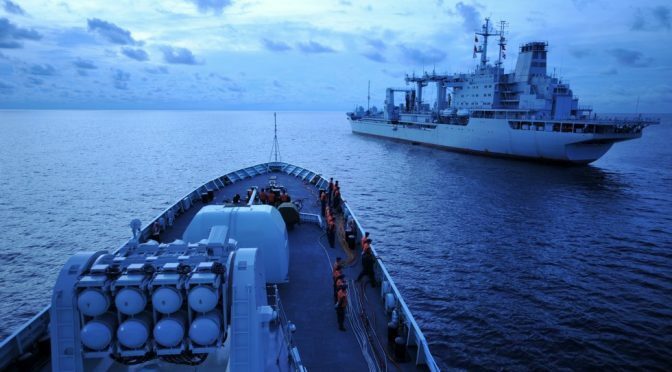 Prashanth Parameswaran, “ASEAN Joint Patrols in the South China Sea?”, The Diplomat, 12 May 2015, accessed 17 May 2016, http://thediplomat.com/2015/05/asean-joint-patrols-in-the-south-china-sea/. 16. Robert Held, “South China Sea Clashes Fracturing ASEAN,” The National Interest, 24 June 2016, accessed 25 June 2016, http://nationalinterest.org/feature/south-china-sea-clashes-are-fracturing-asean-16699. CIMSEC convened a panel of Asia-Pacific experts to weigh in on recent security developments in the region, provide context on evolving international dynamics, and highlight potential issues to watch closely. Listen to the audio or read the transcript below. Mina Pollmann: Hello everyone. Thanks for joining us on this call. My name is Mina, and as CIMSEC’s Director of External Relations, I have the honor of moderating today’s call on maritime security trends in the Asia-Pacific. For our CIMSEC listeners, I am pleased to say we have an exciting panel lined up, with four distinguished Asia-Pacific experts joining us to discuss security issues in the maritime domain from various different angles. Before we begin, I would like to introduce our panelists. We have joining us today, Captain Jim Fanell, a Government Fellow with the Geneva Centre for Security Policy. Jim retired from the U.S. Navy in January 2015, after spending 30 years as a naval intelligence officer specializing in Asia-Pacific security, with an emphasis on the Chinese Navy and its operations. We have Greg Poling, director of the Asia Maritime Transparency Initiative and a fellow with the Southeast Asia Program at the Center for Strategic and International Studies. He oversees research on U.S. foreign policy in the Asia-Pacific, with a particular focus on the maritime domain and the countries of Southeast Asia. We also have Elina Noor, director for foreign policy and security studies at the Institute of Strategic and International Studies Malaysia. Her policy interests include U.S.-Malaysia bilateral relations, cyber warfare and security, radicalization and terrorism, and major power relations. And Scott Cheney-Peters also joins us, founder and chairman of CIMSEC, and a reservist in the U.S. Navy. His interests focus on maritime security in the Asia-Pacific and naval applications of emerging technologies. The views expressed are those of Scott’s alone and not necessarily representative of the U.S. government or U.S. Navy. Without further ado, I would like to begin with Jim. Jim, can you talk us through the most significant changes to the Chinese Navy over the course of 2016 – from a doctrinal and/or capabilities perspective? Also, how do you weigh the prospects for U.S.-China cooperation or conflict in 2017? Are incidents like the spat over the UUV that China picked up last month likely to increase? Jim Fanell: First of all, thanks Mina for coordinating this and inviting me to participate. I’m very happy to be working again with CIMSEC and the great work you all do. To answer your questions as concisely as possible, the biggest thing that happened in 2016, in my view, after spending the last couple days reviewing about 10,000 of my emails from the Red Star Rising, is the series of major changes President Xi instituted to the PLA – creating a separate PLA headquarters, elevating the status of the strategic rocket forces and the strategic support force, and reorganizing the seven military regions to five theater commands – all of which had an indirect impact on the navy, elevating their status. The navy’s status had been rising since before 2016, but that trend continued throughout the past year, which is also evident when one considers the sheer number of events the Chinese Navy held – not only exercises inside the first island chain, but also the great number of operations that occurred outside the first island chain and globally in the Indian Ocean, the Mediterranean, up to the Baltic, down to the South Pacific, and into South America. What we saw was the solidification and culmination of Admiral Wu Shengli’s final year as chief of naval operations for the Chinese Navy. I think you also saw President Xi recognize that the PLA is the principal tool for Chinese power and acquisition, to maintain China’s outward orientation, including as a part of the One Belt, One Road Initiative. You also saw China participate in RIMPAC 2016, which is a very big operation for them, and a solidification of what they did in 2014 and 2012 – establishing the pattern that they expect to continue in 2018. We’ll see how that goes. In terms of shipbuilding, it looks like they built about 4.5 times as many ships as the U.S. did in the past year, so their shipbuilding program continued pretty strong. They were globally deployed in many ways, including submarines in the Indian Ocean while they were operating and doing fleet reviews in India – a kind of hard power-soft power approach by the Chinese. In 2017, we can look for more of the same in terms of their presence. They’ve made it clear that they want to break outside the first island chain, and they demonstrated that very consistently in 2016 – culminating the year with their naval air forces flying outside the first island chain with bombers, fighters, and re-fuelers, circumnavigating Taiwan with their aircraft carrier. We can expect to see more of that in 2017. I think we can also expect to see the rollout of the new carrier, an indigenous one. This will be their second carrier, but the first one they produced themselves. I think we’ll also get more information about their ballistic missile submarines officially being on SLBM patrol, helping shore up that portion of the nuclear deterrent capability they’ve been talking about. With controversies, like with the UUV at the end of last year, it’s quite possible we’ll see more things of that nature. I think what you’ll see though, especially in the South China Sea dispute over the Spratly Islands and even over Scarborough, is that you’re going to see the Chinese incrementally continue to react to the United States’ presence. Before October 2015, you could describe it as a “zone defense.” But by my read, from October 2015, through all of 2016, and even into 2017, the Chinese have taken a man-to-man approach in dealing with the presence of the United States in the South China Sea. I think, now, every time we’ve done one of our four freedom of navigation operations or when we have dual carrier operations or single carrier operations, the Chinese have gone out of their way to make clear and publicize that they are shadowing and following our naval vessels as soon as they come into the South China Sea. We can expect to see that increase, and the pressure from their vessels to become sharper in tone. I don’t expect to see shouldering or ramming, but it all depends on how they interpret the new administration. They will use statements and anything else that comes out of the new administration as justification for such challenging behavior – and we have to be prepared for that. Mina: Thank you, Jim. Now, I’d like to turn to Greg. What are the most salient facts to know about China’s recent construction activities in the South China Sea? To make sense of their construction activities, what are the key indicators you are looking for in 2017 as signals or markers for Chinese intentions? Will the PCA ruling or a potential ASEAN code of conduct modify Chinese behavior? Greg Poling: Thanks, Mina. I think what we saw, certainly over the last year, is continued consolidation by China of the installations made in the Spratlys and the expansion of its capabilities in the Paracels, all the while, at least in the second half of the year, pretty successfully diverting international criticism, at least diplomatically so. If you only read the press on the South China Sea in 2016, it looked like two different years. In the first half of the year was high level bullying, especially of the Philippines but also everybody else, in an effort to prevent nations from publicly supporting the PCA ruling, along with this “will they-won’t they” debate about construction at Scarborough, which the U.S. seems to have successfully deterred in the short-term. But after the July ruling, all of a sudden, we heard a tonal change from the Chinese. The election of President Rodrigo Duterte in the Philippines opened that door, but Beijing gladly walked through it. 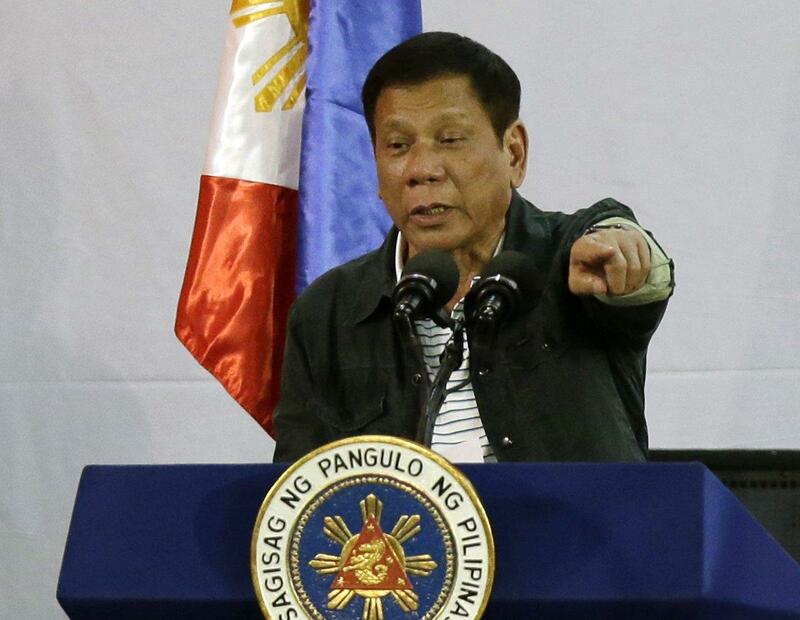 They continued to lash out at the U.S., Australia, Japan, and Singapore for perceived support of the Philippines, but towards the rest of ASEAN and especially the Philippines, they took a more polite approach. That pretty successfully helped them avoid the widespread censure that would have at least brought some pressure to change Chinese actions. Since that didn’t happen, I think they’ll see that they have largely a green light to return to a more coercive stance in 2017. So while all of this change in tone, and all of this diplomatic effort was going on, we still saw the completion of 72 small hangars for combat aircraft at the three biggest islands in the Spratlys, the construction of larger hangars for maritime patrol, heavy lift, and refueling craft, continued upgrades to ports and docking facilities that allow the Chinese Navy, coast guard, and paramilitary forces to stay out in the southern regions of the South China Sea 24/7 in a way they haven’t been able to prior to the artificial island construction, and we continue to see the increase in their monitoring capabilities with radar facilities, signals and intelligence. Fiery Cross Reef looks like it’s being turned into a hub for all of this data collection apparatus. What I’m going to be looking for next – which seems almost inevitable – is the first deployment of combat aircraft to the Spratlys, and I think that’s really a matter of when, not if. The Chinese did not build all of this air infrastructure to not use it. I think we should expect to see the deployment of surface-to-air missiles pretty soon. The HQ-9 systems that made waves last year are still emplaced on Woody Island. Woody Island has in many ways been a lower scale model of what we see in Mischief, Subi and Fiery Cross Reef. So I think we’ll see those deployments soon. And they might very well be used early in the next U.S. administration, as a test of the Trump team’s willingness to confront the Chinese. If you are a Southeast Asian claimant, life is going to get a lot harder this year. So far we’ve seen a backing off of the most aggressive behavior by the Chinese. But it’s also the middle of storm season, so we don’t have hundreds of fishermen getting into it with the Chinese like we will in the spring. I think we are going to see the next escalation triggers sooner rather than later as the math works against us – the sheer number of Chinese vessels willing to try to close off the disputed area to the claimants is going to increase, whether we like it or not. And on the code of conduct – much has been made of this pledge by Foreign Minster Wang Yi on the sidelines of the ARF that China would agree to a framework code of conduct by mid-2017. But that is a pretty “squishy” commitment. First, I have no idea what a “framework” for a code of conduct means. I don’t think anybody does. Second, we’ve seen no willingness by China to agree to a binding code of conduct – and even if they did, they have no willingness to clarify their claims, so it’s hard to imagine where that even applies. Third, if China’s past behavior is the best indicator of future behavior, then this seems to be nothing more than a delaying tactic. It took a decade to get China to agree to the guidelines for implementation of the DOC, which have still not been implemented, and have really done nothing to stop the escalation. Even if we get a toothless precursor to the COC this year, I don’t think it really changes anything. Mina: Thank you, Greg. Elina, focusing more on the bilateral aspect of the U.S. relationship with Southeast Asian states, and how the U.S. is trying to promote the rule of law in this complicated dispute, how significant are the changes we saw in 2016 in terms of the U.S. relationship with Vietnam? And with the Philippines? How are other states – such as Malaysia, Singapore, Indonesia – trying to respond to the increasing U.S.-China tension in the region? Elina Noor: I think the short answer to your last question is, is with difficulty. But I think context is very important to keep in mind here. When considering Southeast Asian states and the sometimes puzzling behavior of their respective leaders, we often tend to superimpose a geopolitical, major power rivalry – in this case the U.S. and China – to understand some of their complex behavior, and we often fail to see things from the national perspective. The Philippines for example – I think there was this perception that the Philippines was casting aside the U.S. as its long-term ally, and moving close towards China in particular towards the end of last year. But if you look at developments more closely, you see that President Duterte was only trying, and is still only trying, to do is what many other Southeast countries have been doing for a very long time – which is trying to balance the major powers in the region. We’re all very small countries here, with maybe the exception of Indonesia. And under President Aquino, the Philippines was seen as completely being in the U.S. orbit, while President Duterte, in my view, is just trying to “rebalance” that relationship, so to speak, and trying to bring it back closer to the center, to reposition the Philippines among all these different and influential powers in the region while also trying to extract maximum benefits for the Philippines itself. For Vietnam, definitely the lifting of the arms embargo as conditional as it was, was still very significant. We know the bitter history between the U.S. and Vietnam. But, again, to cast this in light of this big U.S.-China rivalry is only one aspect of the consideration. Similarly, there has been a lot talk of Malaysia turning towards China because of all these deals. These are mostly economic deals and investment-based. But there was also the defense deal that was done during Prime Minister Najib’s official visit to Beijing in late October/early November 2016. The fact that Najib himself called it a “landmark deal” lent even more flavor to the idea that it was about Malaysia aligning itself more closely with China. But when you look more closely at the details, you will see that the China-Malaysia defense relationship is still very nascent and underwhelming, especially considering that China and Malaysia had signed a defense MOU back in 2005. It hasn’t really developed over the years, and it’s only been in recent times, during the last two to three years, that it culminated in a tabletop exercise and a command exercise, and from now on, on an annual basis, we will see joint exercises of friendship and cooperation. But this is really just a confidence building exercise that both the Chinese and Malaysian military is embarking on, really just trying to assess the comfort level between the two militaries. On the other hand, consider the fact that Malaysia has a long, established, solid defense relationship with the U.S., in particular, but also with other countries in the region – like Australia, Singapore, and New Zealand. If we view things more holistically and drill down to the details, you will see that the U.S. relationship with Southeast Asian states is still very significant, but I caution anyone against trying to understand national developments in the Philippines, Vietnam, Malaysia, Singapore, and Indonesia as mainly a U.S.-China-and-“pick your Southeast Asian country” trilateral relationship. It’s more about the national interest of each of the Southeast Asian states and how they position themselves between the major powers of the U.S. and China or try to optimize their national interest in the midst of all this rivalry. Mina: Thank you, Elina. And finally, Scott, taking a macro view of developments in the Asia-Pacific in 2016, how do you assess President Obama’s “rebalance”? Did the U.S. succeed in creating new partnerships and strengthening existing relationships in the naval domain? Have other U.S. allies or partners been successful in this regard? One of the most exciting stories early on in 2016 was whether Japan and Australia, two key US allies, would cooperate on submarine production, but that initiative fizzled. Is defense technology cooperation a feasible area for future U.S. leadership in the Asia-Pacific? Scott Cheney-Peters: Thank you so much for that. Absolutely so. I think the key underpinning of the strategic rationale of the “rebalance” was correct and it still holds true. And that is, that outside of North America, Asia will be the most important region for the U.S.’s security and its values. Dan Rather had a good piece in the Washington Post about how President Obama’s foreign policy focus was a little bit like Jon Snow’s from the Game of Thrones in that it was right in the big picture about the “rebalance” to Asia but a little bit negligent about the dangers of conflicting agendas. It talks about how things like the Iran deal could be seen in the framework of removing these distractions, but also how, despite these efforts, many real world events and folks with other goals, like Putin, get in the way of this vision. As such, the record in prioritizing and safeguarding U.S. interests in Asia against other threats has been something of a mixed bag. I’m going to focus on the security front in particular. And since my esteemed colleagues have talked a lot about China, I’m going to put that a little on the backburner, but it has brought us this focus through the “rebalance,” this enhanced substantial cooperation with many countries in the region including Japan, Australia, Vietnam, the Philippines, Singapore, Indonesia, India, Sri Lanka, and even China. But these gains can be seen as tactical and reversible – as we saw with Thailand and the coup, and in the Philippines as Elina alluded to, because our interest is not singular. It’s not just security, or economics, or values. It’s a mix of those because we understand the intertwined nature of these interests over the long run. While eight years without any major conflict in Asia during this past administration is not insubstantial, and several long-running internal disputes and boundary issues were resolved or moved closer to resolution, other security threats have increased. The U.S. is going to have to figure out how to deal with North Korea, which seems to be determined to pursue increasingly capable nuclear weapons. And as Jim and Greg alluded, also dealing with a China that is undertaking this campaign of maritime coercion while violating international norms and laws. In the maritime domain, there are non-state threats, such as resurgent piracy, kidnapping, and armed robbery at sea and increasingly aggressive competition for marine resources. We’re seeing also an influx of Islamist radicalism that could potentially inflame ongoing insurgencies in Thailand and the Philippines. Of late, we’ve also seen the potential for radicalization of the repressed Rohingya in Burma. So we’re seeing a lot of security threats and issues that have somewhat metastasized over the past several years. Regionally, we have seen a lot of participation by the U.S. in things that are going to build and strengthen regional framework for maritime security cooperation, things like the Maritime Security Initiative, the DoD-led initiative to help develop the maritime security capabilities of some of our Southeast Asian partners; ReCAAP, the regional agreement for countering piracy and armed robbery; and the ASEAN Regional Forum. These all have really gotten their feet under them, really developed, just over the past eight years or so. But without sustained diplomatic effort, which is one of the things the “rebalance” was good at investing, it remains to be seen how much further these can develop. The good news for the region is that, probably, other than the MSI, they can support themselves without U.S. support and participation, but certainly our involvement would help to mature and strengthen them. As to our partners, I think Japan has been quite successful in constructing maritime partnerships in part due to what I call “patrol boat diplomacy” of helping Southeast Asian partners develop their maritime capability on generous terms, whether it’s Vietnam, the Philippines or Malaysia. And this is something that Australia has also long undertaken, especially in the South Pacific. India has also been warming to this approach. We see a couple of new deals between India through no longer just its “look east” but also its “act east” policy. In the future we are likely to see all three continue to pursue maritime technology cooperation and defense export opportunities. I would add a caveat that the exact nature of those deals remain to be seen and will depend on the calculation of both sides, not just in terms of security considerations, but also, sometimes primarily, on domestic economic and political concerns – for things like shipbuilding jobs and technology transfers. Mina: Great, thanks, Scott. I’m going to begin with one follow up question, and then we can have a little bit of a discussion. There’s still plenty of questions about what policies this administration will pursue, but I think we can already say that this administration will be characterized by unexpectedness, unpredictability, and misinformation. How are these traits of the Donald Trump administration going to shape how states in the Asia-Pacific, including key allies such as Japan, craft their maritime strategy and foreign policy? Scott: I’d like to put a spin on that question and shoot it over to Elina. I’m curious what you think the nations in Southeast Asia, what signals or messages from the United States will help them breathe a sigh of relief? Elina: I think that’s a tough one, Scott. As Mina pointed out there does seem to be a lot of unpredictability and uncertainty right now. We heard President Trump’s speech during his inauguration, and his emphasis on America First. I think what we can see in Southeast Asia – subject to whatever develops in the next few months – is that the relationship will be a transactional one as many people have said. And that transactional relationship will be dependent on how much the Trump administration can draw from its partners in Southeast Asia. Now this will be a bit of bargaining back and forth between Southeast Asia and the U.S. Obviously, the smaller Southeast Asian nations will not have the bargaining chips to play that the United States does. Some of the signs Southeast Asian states are looking for will not be forthcoming in the next few months, because I think they’re looking for signs of predictability, reassurance and stability – none of which has been present thus far. ASEAN in particular, given its fiftieth anniversary this year, will be looking for some form of commitment, at least the presence of President Trump at the EAS, and I’m not sure that we can even expect that. I know that in the past the U.S. has sort of downplayed the appearance of its leaders at events like the EAS and even senior officials at the ARF, but I think as we all know, in Southeast Asia just showing up is key. And at this stage, I don’t think we can even expect that come November. All the signs Southeast Asia is looking for – predictability, certainty, stability, assurance, it’s all coming now from the one unpredictable actor that was around and has been around and will continue to be around: China. In the past, we saw signs of reassurance from the U.S. against China, but now the situation seems to be reversed. Scott: That’s a great answer and great points. Greg, I’m wondering if you’ve seen to Elina’s point, any policies coming out from Trump’s administration pertaining to Asia outside the U.S.-China context. Greg: Well, no, not outside of the U.S.-China relationship. Despite its many shortcomings, the one thing the Pivot did quite well was focus on middle powers and Southeast Asia states. It situated China policy within Asia policy, not the other way around. So far, for Trump and most of his senior advisers and the transition team, what we’ve heard is an Asia policy almost entirely dominated by China with a sprinkling of North Korea. If you expect a transactional approach to interstate relations, which I think is reasonable, you’re perceived value vis-à-vis U.S.-China relations is going to determine your value to a large degree. If you’re sitting in a Southeast Asian capital, that’s the one thing that should really worry you. Elina mentioned the importance of just showing up in Asia – I don’t think we should expect Trump at the East Asia Summit. That seems extremely unlikely. We’re not going to see the same focus on Southeast Asian states, Australia, India, Japan except through that bilateral U.S.-China prism. The biggest factor of uncertainty though, is how much does the stated policy and platforms of the president-elect and nominee Trump actually translate into foreign policy? How much does President Trump want to be involved in foreign policy? We’ve certainly heard suggestions that he’s not going to play a very active role. He’s going to allow a much bigger role for players like Michael Flynn, the NSC, Mike Pence, and General Mattis, so it is possible that all of these statements from the president don’t actually frame the way the president pursues foreign policy. Mina: That makes a lot sense – just from the flip-flopping we’ve been seeing between the campaign and what is now a two-days-old presidency at the time of this recording. I’m still curious how states are reacting to the U.S., but breaking out of Southeast Asia, what are the signs that Japan and Taiwan in Northeast Asia are looking for? We haven’t really touched on the East China Sea but that’s also a hot spot in the Asia-Pacific that has gotten increasingly tense over the past year. Scott: Jim, maybe that’s an opportunity for you to jump in here. You mention the Red Star Rising, but perhaps you could provide a little more context for our listeners about that and if you’ve seen any discussion about the role of Taiwan in the new administration. Jim: First of all, the Red Star Rising is just an email distribution list that I’ve had going on for 11 years. Got a number of people at State, DOD, academia and the press, and people in theater, in the country and regions are on the list so we try to follow things from their perspective. Anybody listening to this send us an email at kimo.fanell@gmail.com and we’ll add you to the list. Second, before we get to Taiwan, I would like to give an alternative view about the characterization of the Trump administration. One, Mina said it, they’ve been in power a day and a half. Two, if you go back and look at the Obama administration’s announcement of the rebalance or the pivot that was a year and a half into his administration before it was announced, and it was certainly another two years before we started seeing tangible aspects of that policy being implemented. I would caution people not just in the United States but also overseas to give it a little more of a “breather” here. There have been no stated policies on anything, so to make judgments about what these will be and to make assumptions that everything is going to be transactional is very premature. Especially when you listen to testimonies of Secretary of Defense Mattis and Secretary of State nominee Tillerson, their comments reflect an understanding of the requirements and necessities to sustain our alliance structure. General Mattis’ first statement yesterday after he was confirmed, he said to the Department of Defense “I’m glad to be working with you,” and to the people of the intelligence community, and the last portion of that two or three sentence message to the Department, he said we need to have “friends and alliances,” so I think we need to see US foreign policy through the lens of greater continuity in the post-WWII environment. In my opinion, our commitment to the international order is not going to be upended, and take it for what it’s worth, but I think that’s the message you’ll be seeing coming out of this new administration. There will be parts of it that will echo and reinforce what the president-elect said, but I didn’t hear those statements even in the Inauguration speech. He talked about America not forcing its view on other countries, but I think there’s a lot there to work with. People may not like all that is said, but there is a longer continuity to history. With respect to Taiwan, I do think it’s an area where this new administration is not going to be constrained by previous history. I’m kind of undercutting what I just said, but I think it’s very clear what happened is not just happenstance, and we can expect to see more direct challenges to the idea that the United States cannot deal with and talk to Taiwan. I think there’s been a lot of discussion about what is the “One China” policy. And if you go back and look at the original statements from the 70s, we said we accepted the understanding that China believed Taiwan was part of China, but we were not making a judgment on that. I think that hasn’t been focused on in the past two, three decades, but I think that will be under discussion again and that will certainly upset Beijing. I think the purposes for that, you may attribute to transactional relationships in other aspects, like economics. I think this new administration is going to challenge China on its unwillingness to uphold the international order – such as their unwillingness to follow the PCA ruling – and they might do that through an indirect or asymmetric approach. Mina: Thank you very much. I’m sure our listeners will appreciate this. And now finally, before we sign off, I have one last question for each of our panelists, in the same order as initial responses, and it is, what project are you most excited to be working on this year, that CIMSEC readers and listeners should keep an eye on? Jim: I’m always working on all kinds of different things, but I think my focus will stay on watching what the Chinese Navy is doing in terms of enforcing their view of the task to rejuvenate and restore China, including in their maritime domains. That’s where my focus will remain. Greg: Not to parrot Jim’s answer but me personally and at AMTI, we will be looking to do more of the same. We’re looking to boost readership of the site, increase our ability to bring pressure and transparency. Part of this is, for instance, we just launched multilingual versions of the website in Chinese, Malay and Vietnamese to drive readership outside of the United States. We’re also looking to do a couple new projects that move beyond just pulling back the curtain on what China’s doing in the South China Sea but look at, well, what do we do about that, beyond just the military realm, which is what we have been working on. We want to look at environmental issues, legal issues, law enforcement, et cetera. Elina: I’m excited to be focusing more on cyber issues. It doesn’t have direct links to what we are talking about now, maritime security, but as you know, operations in cyber space cut across all traditional domains. So in the next few months, you will hear about a global commission on stability in cyberspace being announced. I don’t want to preempt or undercut any public announcement, but I think you will hear exciting news coming from that space, and I will particularly be helping try to craft norms and rules for state behavior in cyberspace and international relations. That’s what I’m looking forward to this year. Scott: Those all sound like fascinating projects, and I look forward to learning more about those. I do want to take the opportunity to thank my co-panelists and colleagues for joining us on this podcast and for those listeners out there, if you are interested in heading out – especially in DC – to any CIMSEC events, we often get the opportunity to host some of these great thinkers in more informal discussions and more give-and-take in person events. So look for those events coming up on our website. For myself, I am looking forward to continuing on our work on the Crowded Seas project, which is looking at the maritime domain in Asia in the 2030-2040 timeframe and looking at some of the potential security implications. If you haven’t had a chance yet, you can take a look at the amazing, speculative fiction that I’ve written with my colleague Richard Lum on our website. Feedback is appreciated. Don’t expect any Pulitzer prize-winning writing, it’s just for fun, but we will have a more serious think tank take a look at our more creative approaches to the problem. With that, I’m going to thank Mina and turn it back to her. Mina: Thank you. It looks like there’s a lot for our listeners and readers to look forward to coming out of your projects. Again, thank you so much to all our panelists for joining us on this call, and I can’t wait to get this out to our listeners! Mina Pollmann is CIMSEC’s Director of External Relations. In mid-July CIMSEC will be launching a topic week on the security situation in the South China Sea. Tensions are on the rise as China continues to defend its nine-dash claim in the South China Sea while most other claimants and regional powers strengthen security cooperation agreements with the United States. Rules based international order is being challenged as numerous militaries in the region modernize with growing defense budgets. How may South China Sea disputes animate the geopolitics of the Asia-Pacific region? How may crises and flashpoints come about, be diffused, or escalate? How can claimants restore trust? How is the regional military balance of power trending, and what would conflict look like? How can rules based order be preserved in Asia’s maritime domain, and what does its violation warrant for the future? Contributors are encouraged to answer these questions and more as they seek to understand the complexity of the strategic crossroads that is the South China Sea. Please submit draft contributions to Nextwar@cimsec.org.